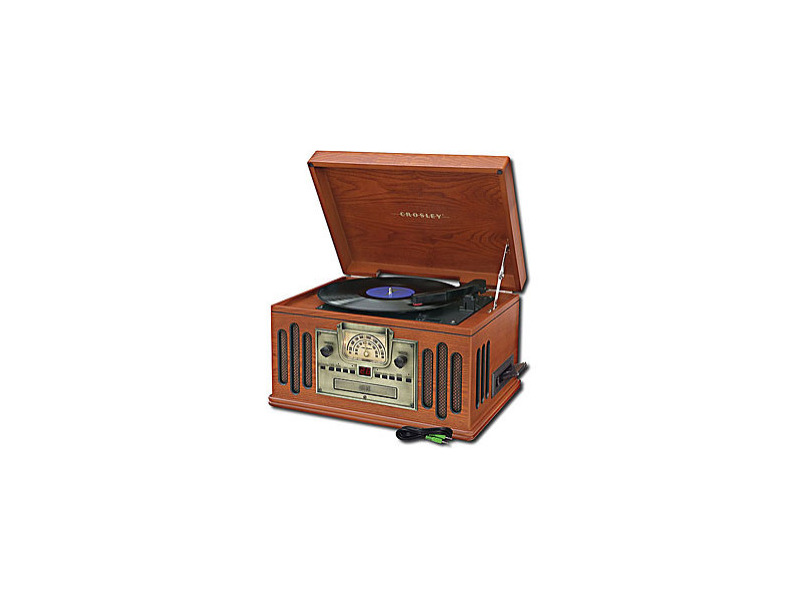 The Crosley Musician bodes an exterior cabinet that will enthuse even the most discriminating of audiophiles, while the inner workings lend themselves nicely to becoming one of the most prized pieces in your music-listening collection. I got the CR 704 model and I love it! I love the style and how it can play different things like a album, tapes and records. Also the radio. I purchased the cr704 and what a disappointment. I have played the record player once and have not played anything for the past 8 months. I turned it on and to my dismay nothing----EVERYTHING IS DEAD--ONLY ONE THING--THE RED LIGHT FOR THE POWER BUTTON AND THATS IT..